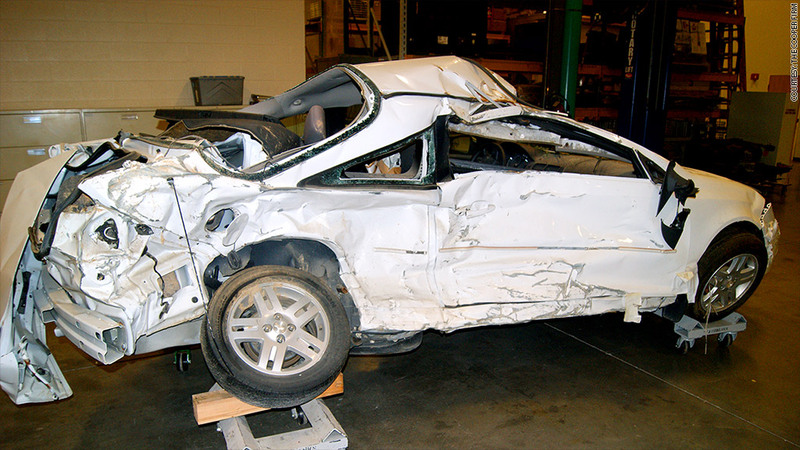 A Chevrolet Cobalt involved in a fatal crash in March 2010. The death toll in General Motors' faulty ignition switch recall is 13, making it one of the deadliest recalls in recent years. Sadly, that toll is likely to climb. The National Highway Traffic Safety Administration said last week that it expects its investigation to reveal the final toll is higher. The 13 deaths are GM's internal estimate, not verified by outside investigators. GM spokesman Alan Adler said the company investigation is ongoing, and that it will adjust the number if there is evidence of other deaths. Right now, for instance, the GM count does not include anyone who was killed in the back seat of a car with an ignition problem, because the company is only looking at victims who might have been saved if an airbag had properly deployed. The faulty ignition switch made the cars susceptible to stalling, which disabled the air bag. But the stall itself might have caused a fatal crash, according to Clarence Ditlow, executive director of the Center for Auto Safety. People could have been killed when the car lost control, whether or not the lack of an air bag played a role in their death. Neither GM nor NHTSA has released a full listing of the 13 people GM is counting as killed by the ignition problem. But Democratic House investigators have released their own list, and there is evidence that many people who died in recalled cars involved in accidents are not on that list. Adler also said that one of the deaths was from a Canadian crash. However, the Canadian transportation ministry said Tuesday that it is investigating at least two fatal crashes. The current recall is the deadliest since the 51 fire deaths that NHTSA said were due to problems with a gas tank on 1993 to 2004 Jeep Grand Cherokees and 2002 to 2007 Jeep Libertys. Chrysler long denied that those gas tanks had a design flaw. But, with a strong push from NHTSA, Chrysler recalled the SUVs for inspections and upgrades. Ditlow said the GM recall could top that death total. "The final proven total will be at least 50," he said. The overwhelming majority of car and truck recalls do not involve accidents that caused deaths. GM has had 28 other recalls accounting for more than 10 million U.S. vehicles so far this year, and the company says it knows of no deaths associated with any of those problems. 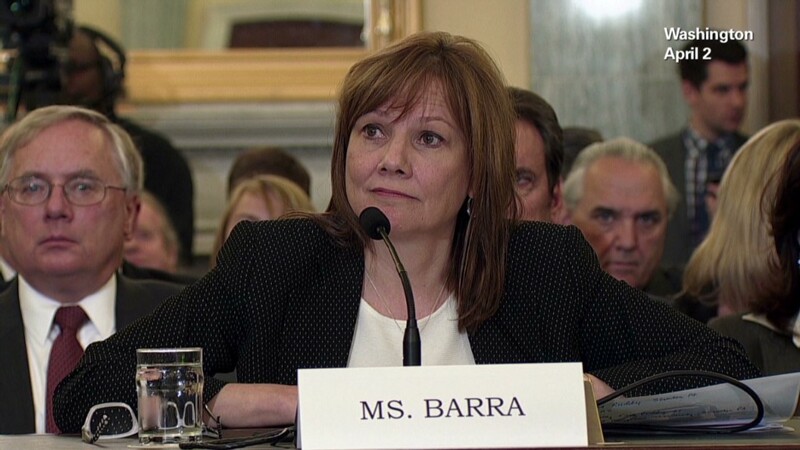 On the day that she testified before Congress about the recall, GM CEO Mary Barra met with the families of 11 crash victims and apologized for the delay in ordering the recall. But only three of those families have someone who is on the congressional investigator's list. Also not on the congressional list is Brooke Melton, whose family won an out-of-court settlement with GM due to the 2010 crash in which she was killed. It was that lawsuit that revealed the cover-up of the ignition problem by GM and helped prompt the long-delayed recall earlier this year. The Meltons' lawyer has filed to reopen that case to seek additional damages, charging that new evidence shows GM hid documents about the ignition switch.